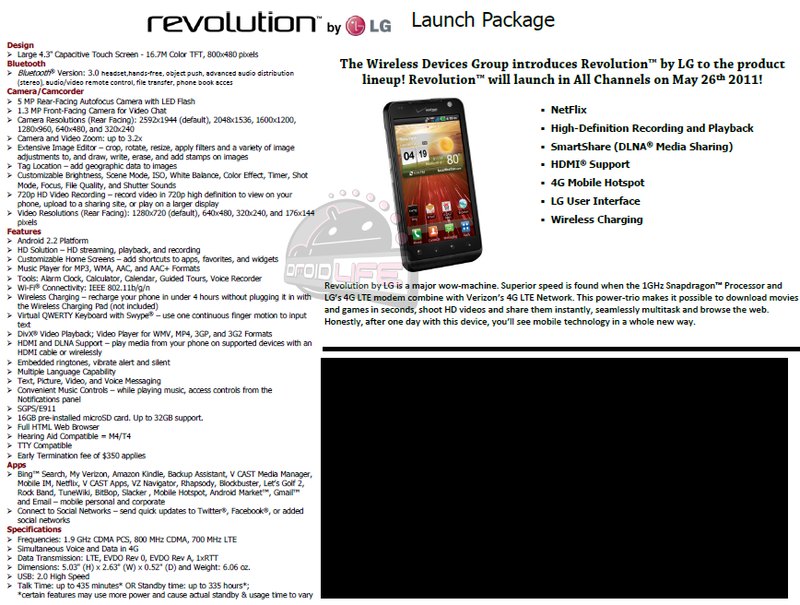 The LG Revolution will launch of May 26 alongside the DROIDX2 and Xperia Play, making next Thursday a beast of a day. This will be the third of Verizon’s four 4G LTE devices that were shown off at CES to hit the market, and as you can see from the picture above has gone through some changes since we last saw it. Instead of going with the silver backing we’ve grown accustomed to, LG and Big Red decided that all black would be much sexier – I have to agree. 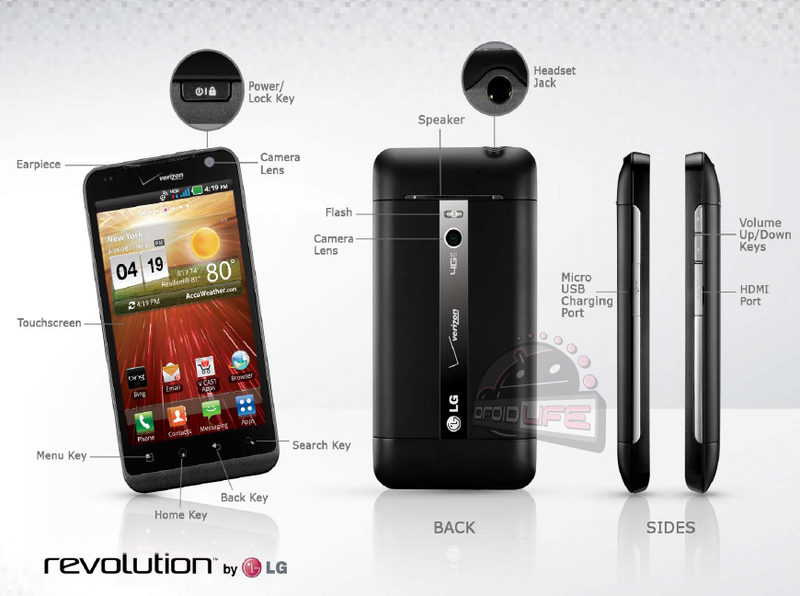 So what else can we expect from the LG Revolution? Well, it’s the first 4G LTE device to be flooded with Bing instead of Google Search which I know isn’t going to make many of you happy. It will launch with Netflix though, so at least you’ll have 4.3 inches of goodness to take in all of your favorite movies and shows. It will also launch with Android 2.2, LG “User Interface”, a 5MP rear camera, 1.3MP front camera, 1GHz Snapdragon processor, HDMI-out, a 16GB pre-installed SD card, and will likely be one of the first to take advantage of Qi wireless charging. The rest of the specs can be seen after the break. And if you had any questions on the device, feel free to ask them in the comments and we’ll see what we can find out. As far as it being “locked” though, we have no idea, but will assume so being a VZW device and all.